Lucky Lucca by which I mean LUCKY ME! 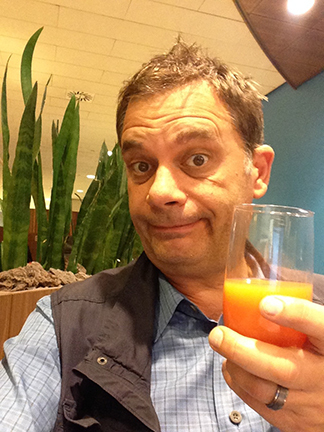 I’m typing this over breakfast, at the KLM lounge in Schipol airport, outside of Amsterdam. 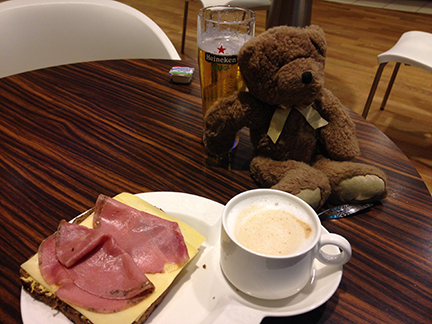 My traveling companion is having a lager, apparently. I believe I’ll stick with the bloody Mary’s. Actually, forget the bloody Mary. Campari and Orange looks just like a delightful Mango smoothie, AND NOBODY WILL JUDGE YOU! Anyway, point being, This Thursday through Sunday, I’ll be at the Lucca comics and games fair, in Lucca, Tuscany, where I’ll be a Guest of Honor. I am crazy excited about it, and it’s been far too long. I’ll be signing for two hours a day, at the Raven Distribution booth. Raven publishes Munchkin in Italian, and will publishing the new Dork Tower comic books and trades, so they should be hard to miss. The signings will be (I think) around 11 am, the other (again, I think) closer to 4 or 5 pm. That said, between this and many other commitments these last few weeks, I fear that meant that this week I had to run repeat Dork Towers on the web site. While I enjoy giving some older cartoons I loved a second place in the spotlight, I’d still much rather run new material. So I’m coming up with schemes I’m scheming with others to try to make it so brand-new Dork Towers are *always* a priority, here. But that’s for another post. In the meantime, there’s an hour until my flight to Florence boards, so GARCON! MORE CAFE AND STROOPWAFFLES! And maybe another mango smoothie! You know…my special blend!